The Island Luau Godfest comes in tandem with the release of two new Godfest Exclusives: Gremory and Ronove . Both these leaders bring a new twist to the heart-cross patterns and are capable of clearing end game content. 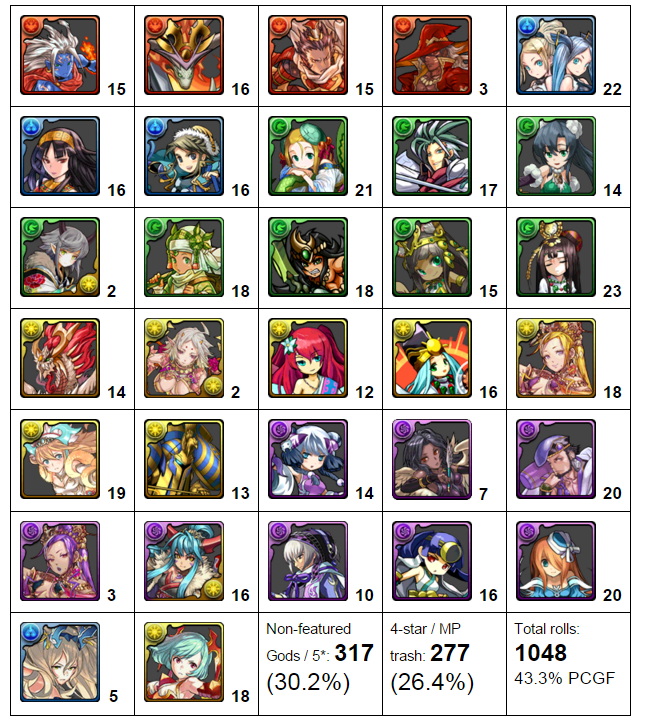 The purpose of this post is to quickly summarize and theory craft teams for these two new top tier leaders. Just keep in mind that the heart cross shield/additional multiplier carries over on a floor sweep. This means it will protect you from preemptive strikes but also retains the additional multiplier if there is no preemptive of any kind.